An example of the Vaporwave aesthetic. Vaporwave is a musical/media genre that involves the sampling, remixing and curation of songs of various styles in order to evoke feelings of nostalgia, eeriness, and, most notably, to fit within the Vaporwave aesthetic. 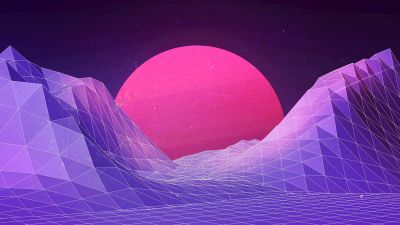 Early Vaporwave was infamous for consisting mostly of slowed down elevator music and 80's pop music, but in recent years the genre has evolved and taken on a more generally ambient tone. The progenitor of the vaporwave genre was sea punk, which itself went on to influence mainstream pop music for a while. Vaporwave was first pioneered by artists Daniel Lopatin (under the name Chuck Person) and James Ferraro, and later refined and expanded upon by artists such as Vektroid, Internet Club, Infinity Frequencies and others. Over time, the genre has collected a large enough roster of artists influencing it to host several subgenres diverging due to the unique styles of the artists. Prominent examples of these subgenres include vaportrap, popularized by Blank Banshee, vapor-hop, future funk, popularized by Saint Pepsi and YUNG BAE, and Hardvapour, popularized by Wolfenstein OS X. This page was last edited on 25 July 2017, at 00:40.